In a major blow to dialysis giants DaVita Healthcare Partners and Fresenius Medical Care, the California State Assembly and Senate passed a bill to crack down on third-party premium assistance for dialysis and to cap providers' reimbursement to Medicare rates if they don't comply with the mandate. The legislation now has a good chance of getting signed into law by Democratic Gov. Jerry Brown. It would serve as a landmark victory for insurers and unions in the long-brewing battle with the dialysis industry. The bill takes aim at the American Kidney Fund, a not-for-profit that subsidizes individual market premiums for dialysis patients who are covered by Medicare and Medicaid. DaVita and Fresenius are major contributors to the organization, and insurers accuse them of using Obamacare's guaranteed issue provision to game the system and steer patients into plans that will bring in more profits. DaVita and Fresenius' stock prices dropped Thursday by 9% and 4%, respectively, on the news. The policy could have a major impact on DaVita and Fresenius, which represent about 70% of California's market share of just under 600 dialysis clinics and nearly 70,000 dialysis patients. California is also one of the most promising markets in terms of size, as the state's dialysis patient population grows by about 5% every year. That's one of the highest rate of growth in the country. The bill isn't the only battle DaVita and Fresenius are fighting in California. There is also Proposition 8, a ballot measure pushed by one of the country's largest hospital unions, Service Employees International Union–United Healthcare Workers West. The measure would slash dialysis reimbursement to 115% of cost, and a healthcare coalition backed by DaVita and Fresenius said the measure could bleed losses for the dialysis corporations, hospitals and even state and federal coffers. The union tried to secure similar ballot initiatives in Arizona and Ohio but failed. In California, dialysis and union groups have spent more than $40 million in the advertising fight over the initiative, according to the Sacramento Bee. Ratings and financial analysts homed in on the California activity months ago. 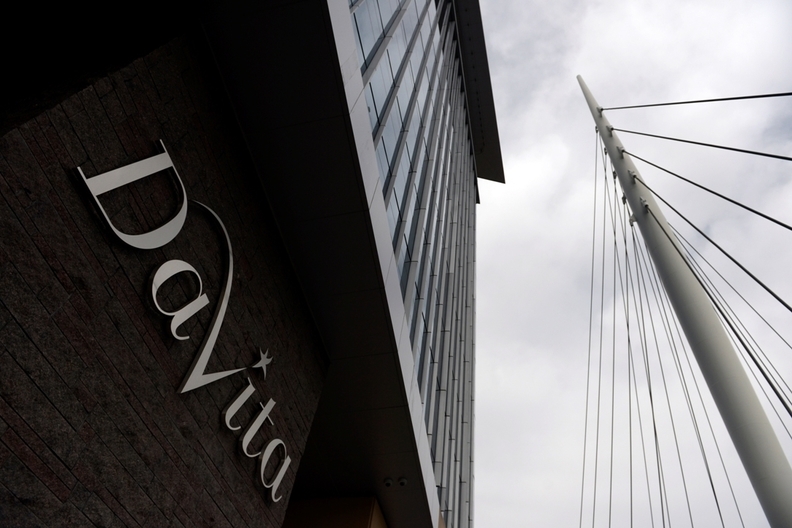 In April, Baird Equity Research predicted the ballot initiative could drive DaVita out of California entirely if it passes, sparking a $300 million loss for the company. However, Baird noted the industry has a lot of money to spend and could take the measure to court or work out another resolution.